Can you tell us about your fondest memories of DEREE? My years on the DEREE Campus were creative, productive, learning years… I cannot single out one single event, but rather an ongoing feeling of continuous learning and accomplishments… There was so much to do, in and out of classes… There were so many people to meet… Hours spent in the cafeteria discussing with others about “life and the universe”, passionate meetings between the Student Government and the College Administration, Clubs and Societies with so many activities, trips in near and far away places… They were splendid years! Did you have a favorite professor and subject? Can you tell us about your debating experience at DEREE? How did your overall DEREE experience help you in your career? And how did your DEREE experience help you with your MBA studies at Harvard? The solid academic background that DEREE provided, along with my involvement with extracurricular activities and the Student Government, allowed me to submit an interesting application and to get accepted in the MBA program at Harvard Business School. Once in the program, I felt that DEREE had prepared me well, despite the fact that I had not studied Business Administration. I must, however, underscore that what helped me the most, was the critical thinking approach that DEREE encourages inside and outside the Classroom. What does Deputy General Manager of Goody’s Everest Group entail? As Deputy General Manager for International Business, I am responsible for all the brands of Vivartia’s Foodservice Group (Goody’s, Everest, Floçafe, and La Pasteria) in ten countries. We are actively pursuing opportunities to expand our networks outside Greece and are currently building or operating stores in Cyprus, Albania, Bulgaria, Romania, Hungary, FYROM, Kosovo, Belarus, Serbia and Libya. How many Goody’s stores, Floçafes, La Pasterias and Everests are there in Greece and abroad? The Goody’s-Everest Group operates more than 500 stores across 10 countries. The Floçafe and Everest chains co-jointly are the 7th biggest coffee shop retailer in Europe and the biggest coffee shop retailer in Southeastern Europe. Goody’s is the principal fast casual restaurant chain in Southeastern Europe and one of two restaurant chains that have defeated the global competition in their home markets. The international expansion of our brands/ chains constitutes a strategic priority for Vivartia’s Foodservice Group, and we anticipate that by the end of 2016 more than 30% of our network will be outside Greece. What are the aims and services of the Hellenic Institute of Customer Service where you are president? The Greek Institute of Customer Service (HICS) is a non-profit organization founded in 2004 with the support of 37 multinationals, large Greek companies and Academic Institutions operating in Greece. The founding members of the Institute recognized the need to upgrade and support the role of those who, directly or indirectly, come into contact with the customer. It is necessary throughout the business community and government agencies in Greece to put more emphasis on issues related to customer relationships. 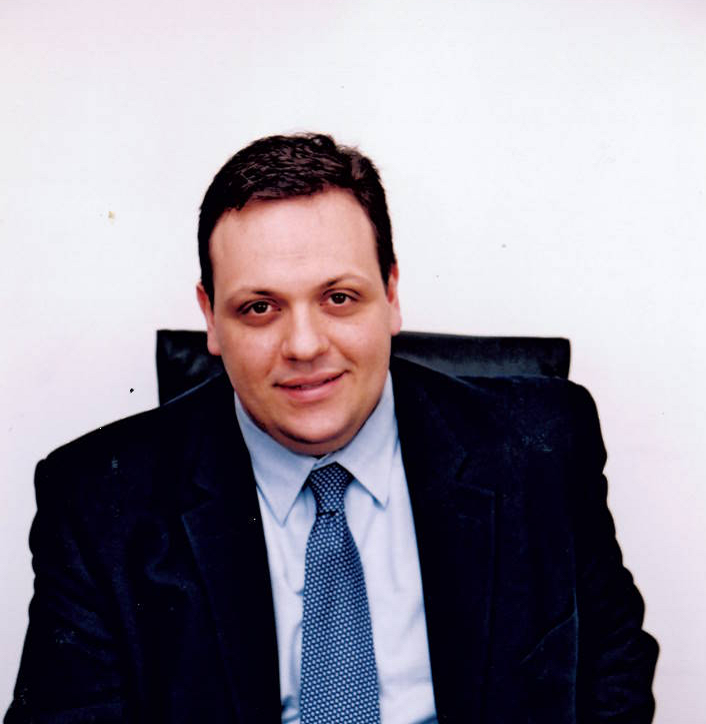 George Vassilaras was born in Athens, studied economics at DEREE – The American College of Greece (BA) and Business Administration at Harvard Business School (MBA). He has worked both in Greece (Kraft Jacobs Suchard, Delta Dairy Industry SA.) and in the United States (Bain & Company), holding positions that cover a wide range of business activities (from international business development to new product development and from financial planning to retail network management). As a member of the management team of Bain & Company, he handled customers such as Gillette, Oral B, Duracell, Stimson Lane, ACCO Brands, the American Pentagon and Burger King. In September 2003, he returned to Greece and undertook the position of Global Operations and Quality Manager for Goody’s SA. In September 2010, he became Deputy General Manager of Goody’s SA and in November 2013, Deputy General Manager for International Business for all the brands of Vivartia’s Foodservice Group – Goody’s, Everest, Flocafé and La Pasteria- in ten countries. He participates as a representative of Goody’s on the Board of Directors of the Hellenic Institute for Customer Service ever since 2004, while he undertook the position of Vice President in 2007 and has been the President of the Institute since May 2010.